A food combining diet, also called trophology, is based on the premise that some foods are easier to digest and assimilate if eaten alone or in specific combinations. Proponents believe illness and weight gain are caused by improperly combining foods. Those who disagree think the whole notion of food combining ignores many known facts. Fruit should be eaten alone on an empty stomach, at least 20 minutes before eating other foods (melons should always be eaten alone. They cannot be easily digested when combined with other foods). Proteins, such as meat, fish, eggs, and dairy, should be eaten with non-starchy vegetables or ocean vegetables. Grains and starchy vegetables should be eaten with non-starchy vegetables or ocean vegetables. Small amounts of unrefined oils, such as flaxseed oil or olive oil, should be eaten with vegetables, grains, or protein. Protein fats such as avocado, cheese, milk, seeds, and nuts should be eaten with sour fruits, ocean vegetables, and non-starchy vegetables. Dried fruit, nuts, and seeds should be eaten with raw vegetables. Sugar should be avoided or eaten sparingly and by itself. Fermented foods can be eaten with anything. At first glance, this diet may seem easy to follow. But consider how many meals rely upon the delicate interplay among protein, fat, starches, vegetables, and fruit for taste and satiety. 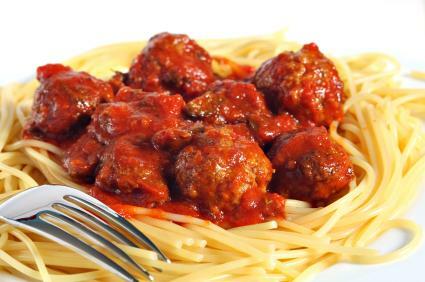 Spaghetti and meatballs, for example, are forbidden on a food combining diet because the meat in the meatballs is considered a poor combination with the starches in the spaghetti or pasta. In food combining, when you eat particular foods and how much you eat is important. Dr. Wayne Pickering, a proponent of food combining, stated in an interview with Dr. Joseph Mercola, that your body goes through four processes "to make food materials for the body to use." The four processes are digestion, absorption, assimilation, and elimination. Your morning meal should comprise the least concentrated foods, such as fresh fruit, in the greatest amounts. There's no limit to the amount or type of fruit to consume, except for melons, which Dr. Pickering recommends be eaten alone. Your midday meal should contain more complex foods, such as starchy carbs, in lesser amounts than your morning meal. Your evening meal should have the most concentrated foods, ideally protein, in the least amount. All food must be chewed thoroughly, almost to liquid, to ensure proper digestion. Dr. Pickering indicates that the body does not produce the proper amounts of stomach acids to break down proteins in meat along with the starches. He says proteins require an acidic environment to break down in the stomach and starches an alkaline one, and when acidic and alkaline foods are eaten together, they neutralize in the stomach. The result is indigestion and excessive waste, which can lead to a sluggish metabolism and weight gain. Wellness expert Mark Sisson disputes Dr. Pickering's beliefs. He states on his website, "the idea that our digestive systems evolved with a kind of built-in fragility that prevented us from eating different food groups at the same time is preposterous." Sisson reveals the pancreas is more than able to handle a "mixed meal" by releasing digestive enzymes necessary for breaking down fats, proteins, and carbs at the same time. He explains there are exceptions to this rule with people who have low stomach acid or who do not properly chew food. Sisson also believes carbohydrate digestion requires a highly acidic environment and that eating meat (protein) and carbohydrates (starches) together increases stomach acid and may actually improve digestion. Like most diets, trophology has pros and cons. Most of the benefits of food combining may be attributed to the diet being naturally low-fat and low in calories. It relies upon wholesome foods and limits or avoids sugar, milk, fat, and alcohol. Most processed foods combine proteins and starches in poor combinations, so true followers of this diet avoid frozen dinners, boxed meals, and prepared snacks, which also limits calories, especially empty calories. The diet generally contains the appropriate amount of protein, carbohydrates, and fats along with vitamins, minerals, and antioxidants, so it can be healthy. Few studies exist on the benefits of food combining. Research published in the International Journal of Obesity determined food combining does not result in more weight loss than a traditional balanced diet. However, both diets resulted in some weight loss, loss of total body fat, decreased cholesterol and blood glucose levels, and lower blood pressure. There are potential pitfalls to food combination diets. There's little scientific backing to prove the claims that food combining, rather than the lower calories of this diet, encourages good health. Many medical professionals such as Laura Schoeneld, MPH, RD, and Kelsey Marksteiner, MS, RD do not believe it's unhealthy to combine starches and proteins. In fact, some say that nature combines many aspects that food combiners say are unhealthy. For example, Monica Reinagel, MS, LD/N, says on her website Nutrition Diva that humans consume breast milk made of protein and carbohydrates (starches), something that wouldn't be allowed on a food combining diet. She believes that food combining is based on outdated information. Food combining may be tough for people to follow. Remembering the rules when planning meals or dealing with restaurant menus and convenience foods may be daunting. If you research trophology, you'll find as many skeptics as proponents. Available information can be contradictory and confusing, but that doesn't mean the diet won't work for you. As with any eating plan, success often depends on your level of commitment, consistency, and goals. The best way to determine if any eating plan is working is how you feel--physically and emotionally. If you're interested in food combining, consult a nutritionist or your doctor to see if it is right for you.